You’ve probably never heard of this woman. But you’re living her legacy. 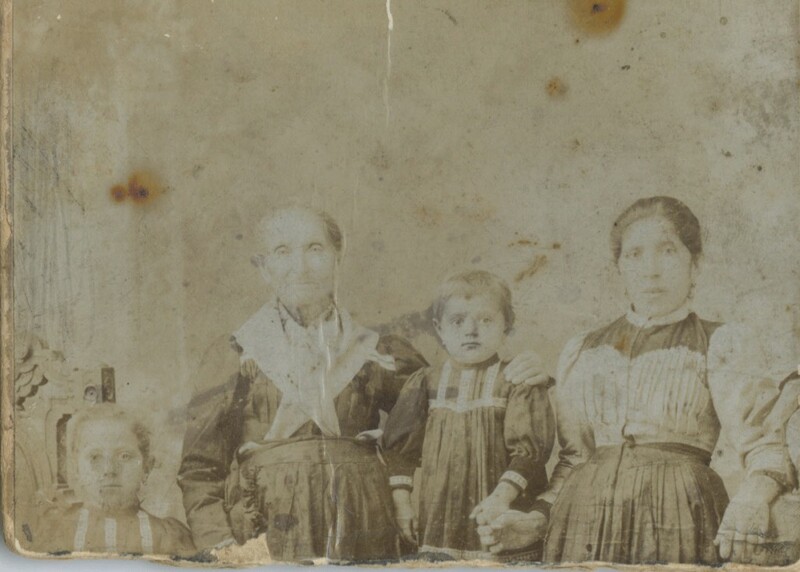 Though there are no known photographs of Juana, a direct descendent of hers believes that she may be the second woman from the left in this image. Happy Women’s History Month! Today I’d like to share with you the story of one woman who was challenging norms around race, gender, and class before it got cool. As children growing up in California, we learn a lot about the Gold Rush, and the men who “discovered” or “founded” our state. (Obviously, “discovery” is a totally false term to represent the encounter that happened between indigenous groups who had been here for centuries and the colonizers.) But we know that there were plenty of women who played crucial roles in making California what it is today, and our history is incomplete without them. 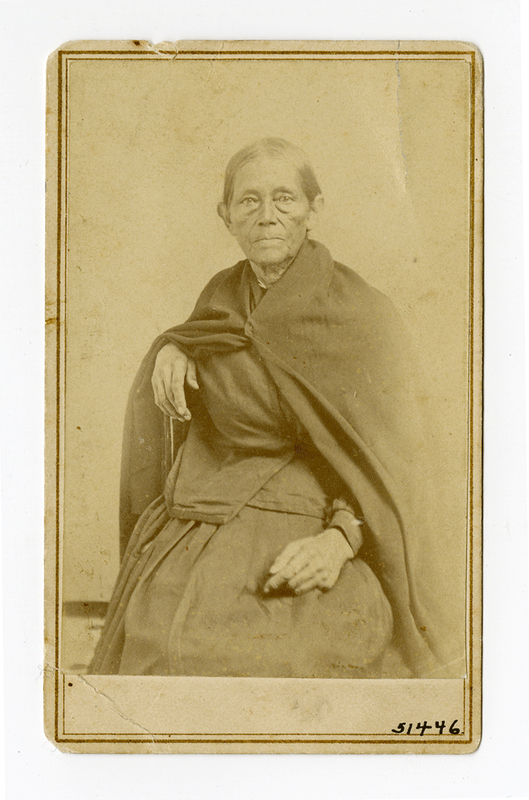 Juana was born in Santa Cruz, California in 1802, to Ysidora and Marcos Briones, who were both registered as mulattos in the 1790 census. In 1820, Juana married Apolinario Miranda, and had 11 biological children between 1821 and 1841. During this time, Juana began the first of many business ventures, building an adobe house in what is now San Francisco’s North Beach district, and establishing a successful dairy and produce farm which catered to local merchants and sailors. She soon developed a large and diverse social network who would help her in challenging the patriarchal and unjust society she worked within. In 1844, Juana left her husband after six years of appealing to religious and secular institutions for a divorce. Apolinario was physically, sexually, and verbally abusive, and though Juana never acquired a legal divorce, she successfully left him, dropped his name, and moved her children to their home in North Beach. Juana’s was reportedly the second non-native family to settle in Yerba Buena, what we now call San Francisco. However, once there, she worked closely with the indigenous population, buying land from them, formally adopting two indigenous children, and learning from their medicinal practices as an established curandera and midwife. In their online exhibit chronicling Juana’s life, the California Historical Society explains the historical role of curanderas, who relied on native plants and indigenous and colonial healing practices to heal. “Working as curanderas allowed these women to cross restrictive boundaries of race, class, and gender while enhancing their social status. Midwives even performed the sacrament of baptism for gravely ill infants, fulfilling a sacred religious function normally reserved for male priests. Like priests, their responsibilities—to heal the body, soul, and community—were intertwined and rooted in a complex religious worldview. In 1848, everything changed for Juana: the Treaty of Guadalupe Hidalgo was signed, making Juana and her family (second class) U.S. citizens, and gold was discovered in California. With the onset of the Gold Rush, the Californios were force to prove to the American courts that they owned their land, which proved a very difficult task for women and landowners of color. Less than half of the women granted land by the Mexican government had their ownership confirmed by the United States government. One of them was Juana, who went on to purchase more land in the Bay Area, to continue her work as a curandera, and to run her household into her seventies. Juana was a single mother, a survivor, an entrepreneur. She created a place for herself in white, male-dominated spheres, fought gentrification and land grabs, and provided reproductive health services to women in her community. 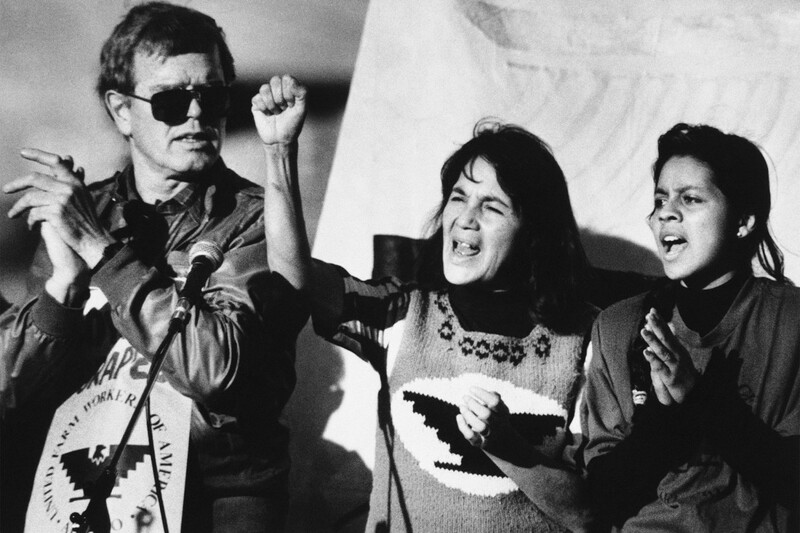 Some have called her the “Founding Mother” of San Francisco, and in a city where gentrification, reproductive justice, and immigrant rights are painfully present topics, I think I should have learned about Juana in school. Both images from the California Historical Society exhibit. Juliana thinks that Juana may be her spirit mentor. Or something. Our names are just too close to be coincidence.